I have never been one for pets. I did not grow up with a dog or cat. Truth be told: I am scared of dogs. I have actually been bitten a couple of times by dogs. No pun intended. I am equally uncomfortable around cats; they leave me with an eerie feeling. If I have to own a a pet it would be a bird, but the whole idea of caging a bird traumatizes me; to ask me why is to start a whole different story. Well, one day, while watching a national geographic documentary on primates, my four year old son told me he loved gorillas. Of course, as a vigilant mother I had noticed this. He was very excited to see one when we visited the zoo. He also wanted to read any book that had gorillas or monkeys in them. I was frightened out of my wits. We were not in Cameroon or any other African country for that matter; we were living in the United States of America where the connotation between blacks and primates is alive and raw. And this was well before Phillip Atiba Goff’s research which proved that “white supremacist assumptions that black people are related to apes and monkeys is not just history… those racist associations remain embedded within the minds of most white people, affecting their opinions and their behavior”. This was also a couple of years before the New York Times published a cartoon of an assassinated monkey signing a bill after Barack Obama signed the stimulus bill. Well, I imagined my son in the predominantly white school library, picking up a book with monkeys or gorillas….that in itself could be turned into a scientific explanation of why blacks are considered apes. How does one tell a 4 year old about racism and stop him on his tracks from loving an animal he genuinely admires. I went on a mission NOT to bring him near books with pictures of primates of any sort. Then, he started pre-kindergarten and a week later, a teacher called him “Curious George” and I was on my toes. He was an intelligent boy, very curious and his name was George, so why did this make me uncomfortable? Well, the book character “Curious George” is a monkey! True, he loved monkeys and gorillas but he was not one! That day I had to tell myself over and over that the teacher did not mean any harm. A year later my son turned five and I gave him a birthday party; as we unwrapped the gifts, one stood out… a book on gorillas. My son jumped up excitedly and started flipping the pages. I did not know that his love for gorillas was known to his friends. He was the only black kid in his class. I was on the edge of my sit: a white family giving my black son a book on gorillas. I had no reason to doubt that it was a genuine gift, but the flood of history drowned me. I reviewed the racist premise of the last 400 years from Hegel’s “scientific” race theories to New Jersey cops’ racial profiling case. For the next several days, my son hugged the book on gorillas, thumped the pages and wanted me to purr over the photographs with him. He wanted to have a gorilla of his own. I said cute sentences in my mommy candy-sweet voice; “son, Gorillas should stay in the forest; you can’t possibly want one. Georgie boy, I know you like hamsters better than gorillas; I could get you one. I could even get you a puppy if you tell me a dog is your favorite animal”. Two years passed and I was sure the gorilla bug had been laid to rest. Then in 2nd grade, his class teacher bought assorted class prizes including a monkey soft toy. When a kid had a question right, he/she went into the prize bin and took something. George was the first one to answer a question correctly, and of course true to his taste, he went for the monkey. 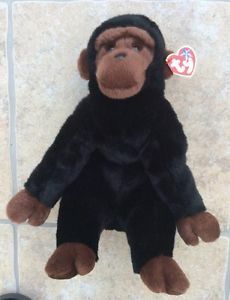 The soft toy came with a name, “Congo”, probably from the 1995 film “Congo” directed by Franck Marshall. When he got home he was ecstatic. “Mommy”, I brought home “Congo”. “Who is Congo?” I asked. “Here, look”, He said. He rushed to his bag and brought it out. I smiled the kind of smile that flattens your face because inside the intestines are dancing assiko. “Wow” I said, not knowing what else to say and he excitedly continued, “Yes mommy, I was the first to pick a prize and I was so happy I got Congo.” For two days, I watched him put Congo by his side while watching TV, or put it on the table while eating. I felt uncomfortable but I did not know how to explain my discomfort to a seven year old. How do I explain that a gorilla or monkey is not the right animal for a black child to love in a white dominated environment? Then on a bright Wednesday I picked him up from school and as we were going home, I heard what I had been dreading, “Mommy my friends keep laughing at me that I look like Congo. Is that true?” My stomach churned, but I kept my cool. I adjusted my mirror so he could see my face from the back seat “You are right son, Congo is an animal and you do not look like Congo. You are a very handsome boy. You know son, they are just jealous that you were the first to pick and you got Congo”. He seemed contented with my response and kept quiet. The next day I went and talked to his teacher; I told her what the kids were saying. She was so apologetic and explained, “I am so sorry, Ms. A, I didn’t think about that when I bought the toy. I feel so terrible. It was the best prize I had in there; oh I will ask him to pick another gift. I am so sorry.” The teacher had never given cause to doubt her, but then again I wondered. The teacher asked George to pick another gift, reprimanded the kids, and got them to apologize to George. At home, I tried to tell him a child-appropriate version of black history and why those comments by the children were not nice. George did not pick another gift, and he refused to give up Congo; however, he stopped taking the soft toy to school. But even at home, I saw his love for Congo wane. Congo was no longer near him on the couch or on the table while he ate. Today, I cleaned George’s room and I came across Congo in an obscure corner under the bed. It is now four years since Congo came home…we don’t talk about gorillas and monkeys anymore. I wonder what else my son will have to give up in a predominantly white world!